In the early 1880s, anti-Chinese sentiments were prevalent in all levels of the Canadian government. This resulted in the Chinese Immigration Act in 1885, stipulating that all Chinese entering Canada must pay a $50.00 fee. This was later referred to as a “head tax”. The fee was increased to $100.00 in 1900 and $500.00 in 1903. The latter amount was equivalent to two-years wages at that time. Under such financial hardship, coupled with the cost of overseas transportation, many would-be immigrants were denied the opportunity to make a new life in Canada. Those who did immigrate had to sell their land, borrowed from family, or signed long contracts with labour contractors. 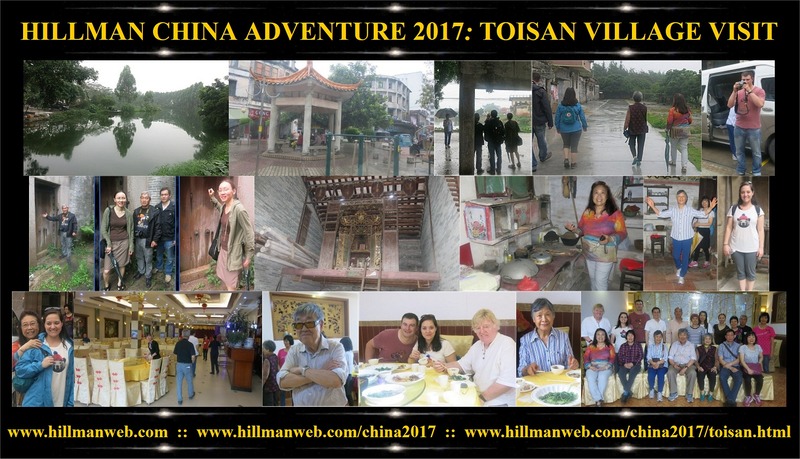 Only men from Toisan were able to manage these financial difficulties. Many of these men were employed in gold mines, helped build the Canadian Pacific Railroad through the Canadian Rockies, opened laundries, stores, and restaurants. These men worked hard to save money to support their families in China. Some managed to return to their homeland once every few years. Many of these men never made it home. They lived a lonely life and died in a foreign land. The Chinese Immigration Act was repealed in 1947. In 2006, the Government of Canada apologized to Chinese Canadians for the discriminatory restrictions placed upon the Chinese immigrants, specifically, for the Head Tax and Exclusion Act. Furthermore, the government announced the need for “appropriate acknowledgement and redress” to honour the valuable contribution made to Canada by these immigrants. Monetary compensation has been paid out to Head Tax survivors or to their surviving spouses. A second component of the federal government’s apology is being provided through funding under the Community Historical Recognition Program (CHRP), which commemorates immigration restrictions in the past. In view of this, The Westman Chinese Association has applied for funds to build a monument in the Brandon Cemetery where many of those who paid the head tax are buried. The Chinese Immigration Act, created in 1885 required all Chinese entering Canada (or staying in Canada following contracted work with the Canadian Pacific Railway) to pay a $50 fee. The fee was increased to $100 in 1900 and $500 in 1903. The act was repealed in 1947 and in 2006, the government of Canada apologized to Chinese Canadians for the discriminatory restrictions placed upon the Chinese immigrants, specifically for the Head Tax and Exclusion Act. It also announced the need for "appropriate acknowledgment and redress" to honour the valuable contribution made to Canada by these immigrants. Monetary compensation has been paid out to Head Tax survivors or to their surviving spouses. A second component of the federal government's apology is being provided through funding under the Community Historical Recognition Program, which commemorates immigration restrictions in the past. 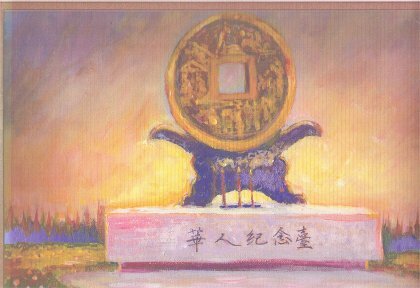 The proposed monument will be a bronze Chinese coin - five-feet in diameter. This symbol was chosen to represent the time (this type of coin was used in 1800 China) and economic reasons for immigration to Canada. There will be engravings on the coin to depict the history of the Chinese immigrants, as labourers who helped build the Canadian railroads, established businesses such as laundries and restaurants, and finally the unification of the Chinese families after 1947. The bronze coin will sit on black marble. This represents the dark page of history due to the Exclusion Act and the Chinese Head Tax. The granite for the monument foundation will be from Manitoba. This is to recognize that the Chinese immigrants have built solid foundations in Canada and Manitoba. The monument will be located in the Brandon Cemetery, facing East towards China. The site has been approved by the City of Brandon. The inscription will prominent at the base of the coin, indicating the Chinese Head Tax link, both in Chinese characters and English. The main purpose of this monument is to show how the Chinese have persevered and ultimately became good Canadian citizens in the face of restrictions such as discrimination and the Head Tax. It is hoped that such a visible lesson will help society to understand that every immigrant should be given the opportunity to establish a new life in this country. Chinese immigrants who faced financial hardships at the hands of past federal governments because of the former Chinese Head Tax and Exclusion Act will be officially honoured with a monument in the Brandon Municipal Cemetery. The Westman Chinese Association plans to erect a bronze and marble statue at the cemetery to recognize their ancestors who, upon completing their work as labourers for the construction of the Canadian Pacific Railway, were required to pay a head tax to remain in CAnada, as well as those who had to pay a fee just to come to Canada. "This monument is in recognition of the Chinese immigrant sufferings from all the wrongs that the Canadian government have done (them), dating back to (the) 1800s," says association president Ken Choy. "This is very close to my heart." Many of the Chinese immigrants who settled in Westman in the early 1900s were forced to pay the government-imposed taxes, including Choy's grandfather and his father, Soo Choy -- who is buried in the Brandon cemetery. His mother Chan Yook Hai (Jade) Choy was recently buried alongside him. The monument will be designed in the shape of a traditional Chinese coin and will be engraved with a pictorial of the Chinese immigrant history. It will be located near the cemetery administration office on the eastern portion of the property. Once complete, its presence will give added dignity to the traditional memorial ceremony undertaken by the city's Chinese community at the cemetery every June as part of its Ching Ming Festival, Choy said. "We go to pay our respect to the Chinese ancestors that are buried there . . . we always put offerings on the (ground)," he explained. "So, we wanted some kind of table so we can put the food and offerings there properly. It will be more respectful." The overall cost of the monument will range between $150,000 and $200,000, with $50,000 in federal funding and $26,000 in private donations already secured by the association. To aid the Westman Chinese Association in its further fundraising efforts, the city has agreed to establish a trust fund to collect donations for the project and will also donate the land on which the memorial will be placed. Choy is hopeful the monument can be in place by June 2011 and will serve to not only recognize his ancestors but provide a bit of culture for all people to enjoy. "It's not only a sculpture to recognize our Chinese ancestors -- it's also a piece of art," he said. The event was held on Sunday June 26, 2011 at 1:00 pm. This coincides with the traditional Ching Ming Festival in Brandon. The ceremony included Ching Ming food offerings, as well as the burning of incense and token currency carried out in the traditional manner. As the head tax reimbursement was not officially presented to Western Manitoba's only surviving spouse, we had hoped to have the "cheque" officially presented to Mrs. Soo Choy, but she passed away, at age 101, on February 18, 2010. There was, however, a display of original official head tax certificates, photographs and documents accompanied by the descendents. The unveiling ceremony was attended federal, provincial, municipal, and civic dignitaries who spoke to the audience. Invitations were sent to The Chinese Embassy and individual families who were directly affected by the head tax. 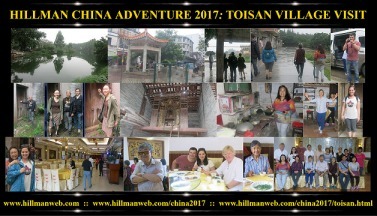 The general public were invited through news media, our website, and posters. We had hoped to have Mrs. Soo Choy, Western Manitoba’s only living spouse of an immigrant who had paid the head tax, to unveil the monument. 'Postcards' available on MTS On Demand “Postcards from the Past,” a historical biography series that features past Brandon personalities such as Jade Choy, Thomas L. Rosser, Kaye Rowe, Fred Brown, Eleanor Kidd, J.D McGregor and James Kirkcaldy, is now available for viewing on MTS TV's video on demand service, Winnipeg On Demand.